When you think about rocking chairs, you probably picture an old person with a blanket over their knees in a dusty living room or care home. Rocking chairs have been stereotyped in this way, but what about their possible benefits for people of every age? Here we take a fresh look at this iconic chair. The first rocking chair was seen as early as 1710 and consisted of a rather rudimentary design including two ice skates attached to the bottom of a normal chair. Their popularity didn’t surge for another 75 years. We are used to seeing single rockers, but the first designs were made for more than one person to sit on. It didn’t take long for people to experience the benefits of rocking and they were soon seen in hospitals and health care facilities. Relaxation – the rocking motion is relaxing. The motion releases endorphins into the brain, helping to lift our mood, ease stress and reduce pain. Some airports in America have started to install rocking chairs to help travellers relax and unwind from the stresses of travel. Fighting arthritis and back pain – these debilitating conditions can be eased by sitting in a rocking chair. The rocking motion helps to increase blood flow around the body, sending more oxygen to joints and thus easing the pain associated with arthritis. The gentle exercise required to rock the chair also helps to build strength and flexibility in the knees. The motion is also said to stop pain signals from being sent from the back to the brain. For a long time, we have known the soothing effects of rocking on babies. 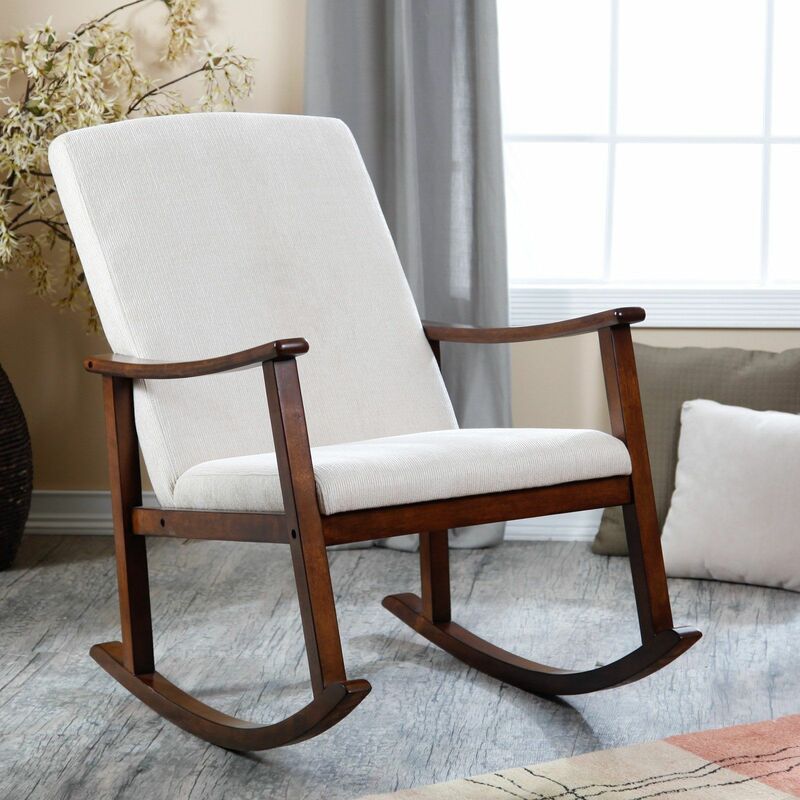 For calming a baby and helping them to sleep, a rocking chair makes great sense. The motion also helps to promote parent-child bonding and studies have also hinted at a connection between rocking and improved social, cognitive, emotional and motor development. Rocking is also believed to help women to heal faster after having had a Caesarean section. For an Eames Rocking Chair, visit Pash Classics. As well as soothing babies, researchers have also found there are benefits of using an Eames Rocking Chair for promoting sleep in adults too. The study used hammocks, but the motion is similar to a rocking chair and the results showed that people enjoyed deeper sleep. Worried about a sedentary lifestyle? Sitting in a rocking chair can burn 150 calories an hour, which makes it an ideal choice for those who are housebound or cannot get regular exercise. It is certainly better than sitting in a normal chair and increases blood flow around the body. A study by the University of Rochester found that those suffering dementia in a nursing home showed improved psychological and emotional wellbeing when using a rocking chair, compared to those who were sitting in a normal chair.